Hadn't watched 2 in years and started thinking, "Maybe it wasn't as bad as I remember". Boy was I wrong. “I also was testing how to keep my eyes open so you have a shot – I can’t have my eyes closed the entire time. The thing that no one else was thinking about, but I was, was the fuel. You have jet fuel coming right out of the back at me because I’m on the wing above the engine. Even when we were taxying I was also inhaling the fumes and they were going in my eyes. “So we came up with this idea of a lens that covered my entire eyeball. So that when I opened my eyes my pupils and retina had protection from any particles and hard air from the runway. “But the flying wasn’t nearly as bad as the taxiing on the runway because of the exhaust fumes he was inhaling. You cannot understand how physically punishing that stunt was. Always liked that he does alot of his own stunts. Massive respect for cruise. I re-watched MI3 again and it never lets up from beginning to end. I actually think re-watching the films I prefer them to the current run of Bond movies. I love Mission Impossible 3 and 4 is of similar quality. 1 is middling and 2 is awful. I haven't actually seen 4 yet. But from what I have seen, 1>3>2. I suspect 4 will slot nicely in between 1 and 3. 1 has aged pretty badly but it's still a very good thriller, 3 is fantastic and four is very good. I like what they're doing with the series, having a different director stamp their mark on each film. Yeah Cruise is obviously a divisive character because of the Scientology nutbag stuff but the MI films are great. 1 is is lame with some good moments, 2 is straight up bad, 3 is strawberry floating awesome, not seen 4 but heard great things. Preezy wrote: Yeah Cruise is obviously a divisive character because of the Scientology nutbag stuff but the MI films are great. Mel Gibson is very similar these days. Clearly a bit mental and holds some rather iffy beliefs, but makes some damn enjoyable movies. 1>3>4>2 wrote: 1 is is lame with some good moments, 2 is straight up bad, 3 is strawberry floating awesome, not seen 4 but heard great things. 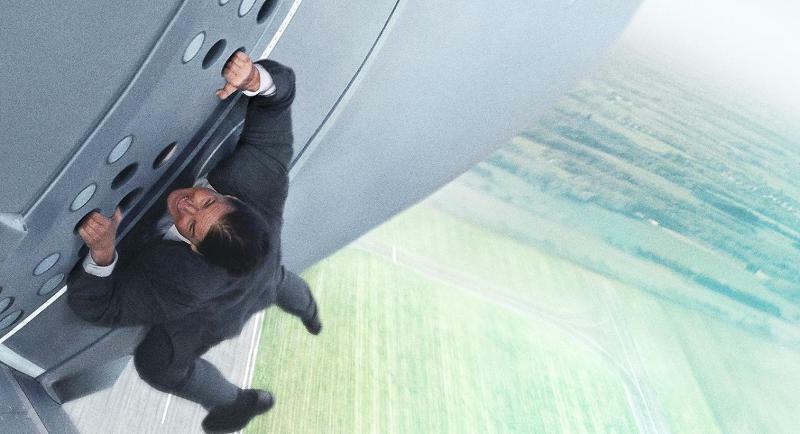 Mission Impossible 2 is the best, the first is very close behind. I didn't like 3 or 4. The trailer for the new one looks surprisingly great. I love that they are doing another bike chase. Skippy wrote: 1 has aged pretty badly but it's still a very good thriller, 3 is fantastic and four is very good. I like what they're doing with the series, having a different director stamp their mark on each film. I love the first one as a sort-of throwback to the 90s. Reminds me of the era of films I grew up watching and as such I probably have a serious case of the rose tinted specs about it. satriales wrote: Mission Impossible 2 is the best, the first is very close behind. I didn't like 3 or 4. MI:1 is my favourite by far. I just love the direction and cinematography. Those low, close-up tilted camera angles. strawberry floating love that scene. Simon pegg renders the later films unwatchable. 4 is nowhere near as good as 3. So irritating that 1,2, and 4 are all on the Netflix... but not 3.